This page features telescope pictures of objects in and around Scorpius and Ophiuchus. One of the Antares pictures is featured on this EarthSky.org article. 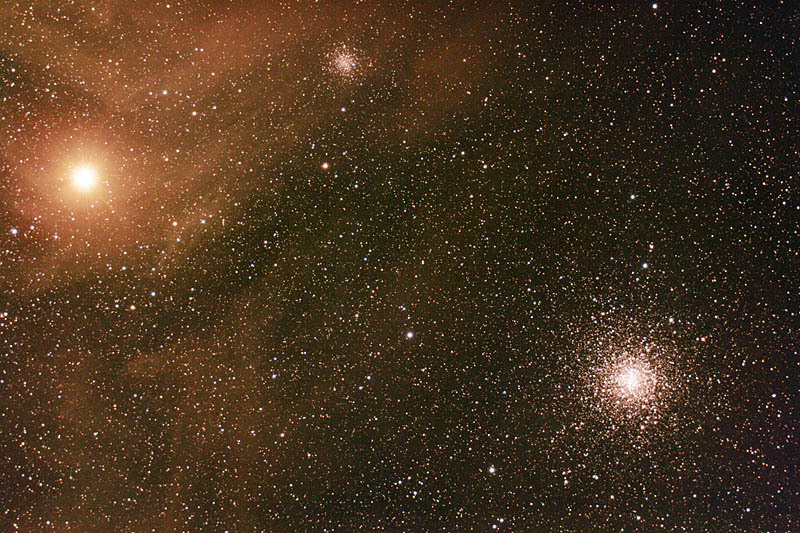 Antares Area - Large Prime Focus with Mouse-over Swap! Antares, the bright star surrounded by the yellow-red nebula, is a red supergiant star that is relatively close to us at around 600 light years away. Antares is huge! If it were in our solar system it would extend out to the orbit of Mars. It is also around 11,000 times brighter than the Sun. More information on this colorful area of the sky is available at this APOD link. 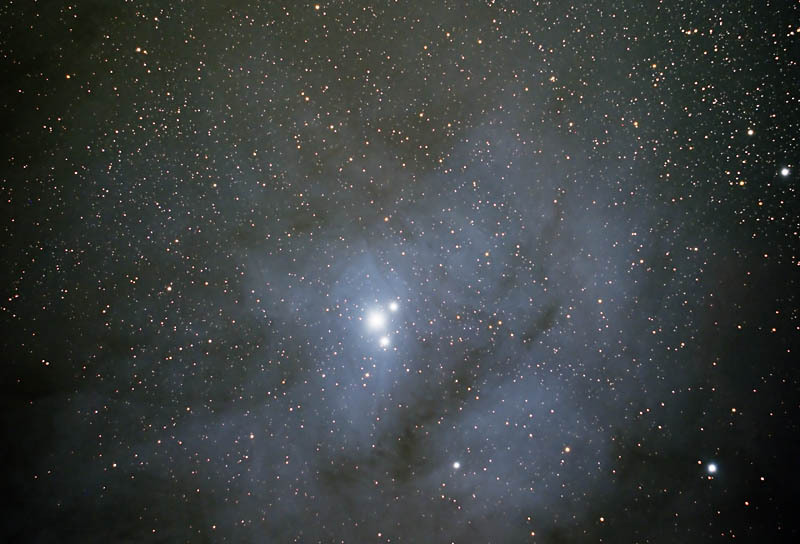 Antares is the brightest star in Scorpius. 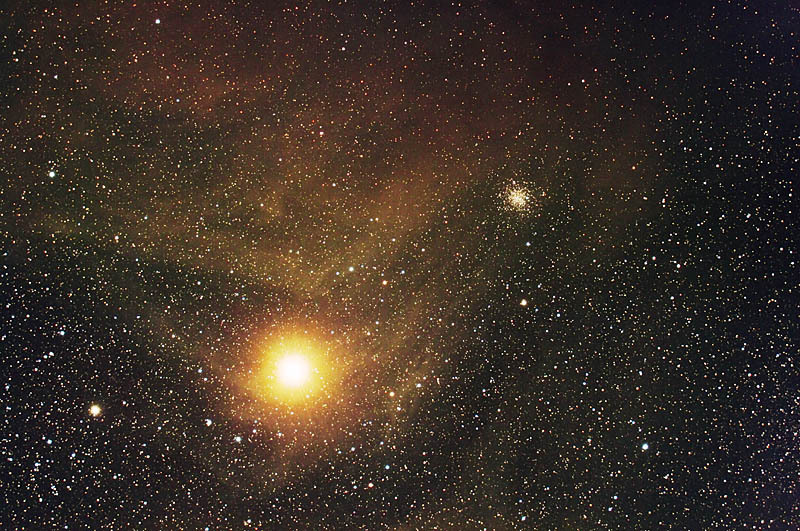 Given star's red-yellow color, and the fact that Mars is a similar color and passes by from time to time, Antares was given a name that means "The Rival of Mars." Also shown: NGC6144 is the small globular cluster below center, while M4 (click here for a full-sized image of M4) is the much larger globular cluster to the left of that. 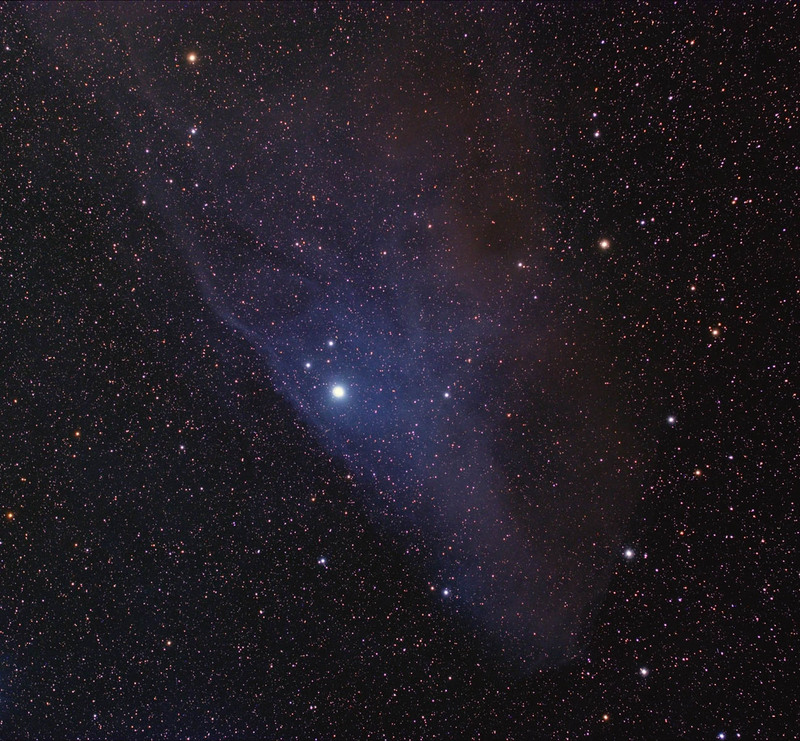 Over to the lower right the blue reflection nebula is IC4605 (scroll down for another image). I updated the original image as I thought it looked a bit too gaudy the morning after! Now I have a more sedate version as the default; while a mouse-over will reveal the original. You may notice a star reduction on the new version also. 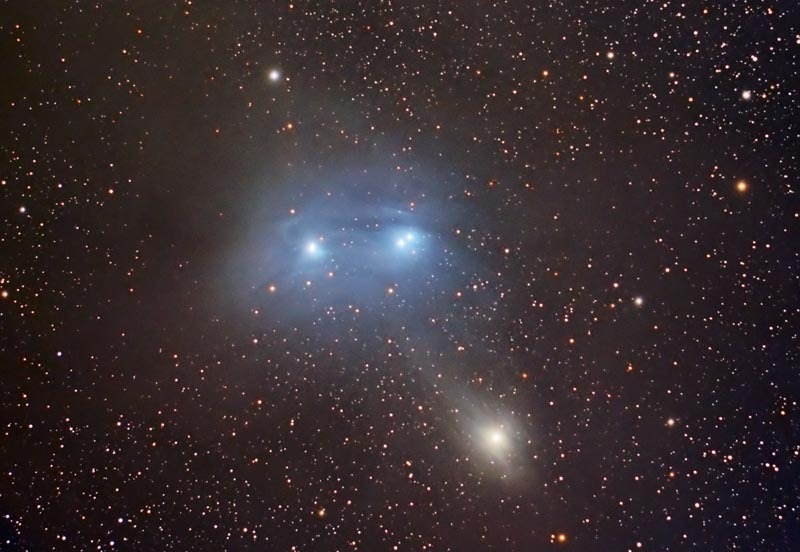 This image consists of 68 frames of 5 minutes each (5.7 hours) total exposure through both the Takahashi TOA 130 telescope with the flattener and Nikon D810A camera and the Takahashi FSQ-85 telescope with the QHY8 "color" CCD camera. The 68 frames created a mosaic with the above area overlapping most of the frames. I then "cheated" in creating the color balance by calibrating the colors to my D810A and Ziess 135mm Antares image (top of the linked page). Doing so led to some exaggerated colors around some of the stars, but I've always been a fan of saturated colors so that's OK with me! This is all from the 2016 Davis Mountains trip. 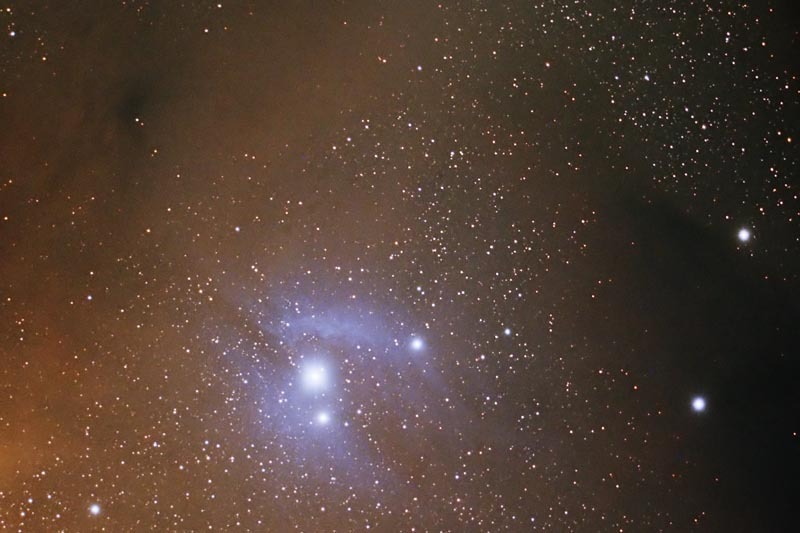 This consists of 13*5 minute frames with the Takahashi TOA 130 telescope with flattener and the Nikon D810A camera from the Davis Mountains Spring 2016 trip. It looks like the bright star and capture system created some artifacts in the form of subtle radiating lines. Above: 6x4 = 24 minute exposure from 2006. There are some outstanding reflection (blue) nebulae in this region. Above: 2011 Spring Davis Mountains Trip. 23*5 minutes or about 2 hours total exposure through the Takahashi FSQ-85 Telescope with reducer, AP 900GTO mount, QHY8 CCD Camera. 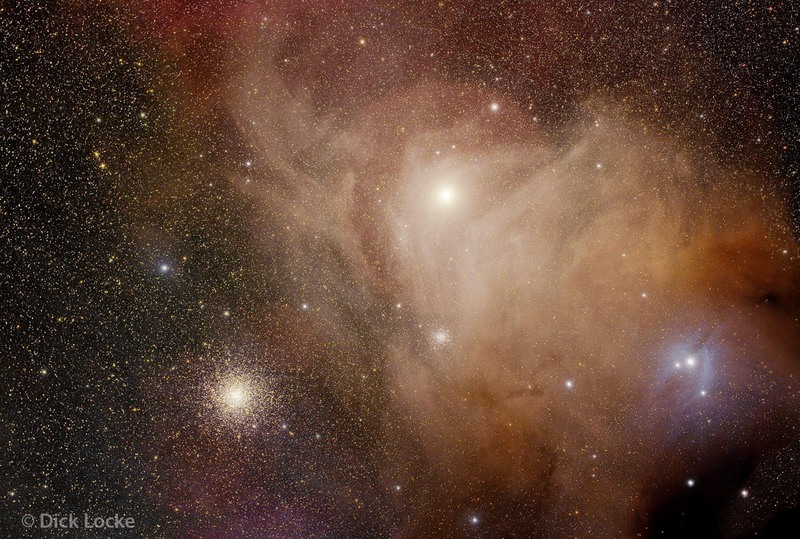 IC 4592 is one of many excellent reflection nebulae in the Antares area, such as IC 4603 and IC 4604. Image Info: 25*4 = 100 minutes total exposure. The two sets had different orientations and # of exposures, so the above is a blend. Normal stretching turned the two bright stars in the center into one, so I blended in a little definition of those two. Note some of a corners are a little rough where only one set of exposures could be used. Acquired in April, 2010 from the Davis Mountains. Takahashi TOA 130 Telescope (a 5" APO refractor) with reducer, AP 900GTO mount, and QHY8 CCD Camera & normal workflow. Scroll down for the 2009 images. 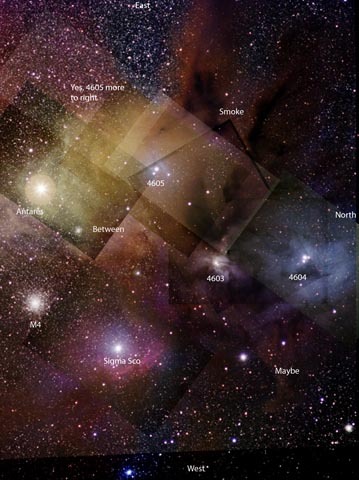 This picture shows an area around Antares. 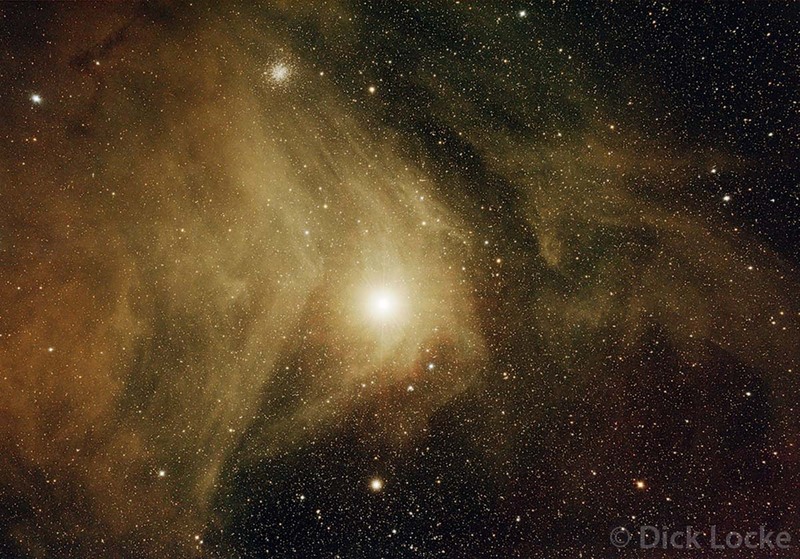 Antares is surrounded a rare yellowish nebula. NGC6144 is the small globular cluster above center, while M4 is the large globular cluster on the lower right. Image Details: 8x4 minute exposures on 3/25/2006 at HAS site near Columbus, TX, USA. Canon EOS 20Da (unmodified), Takahashi TOA 130 (a 5" APO refractor), Losmandy G-11 mount. My current image processing workflow is here. Click below to see M4 close-up. 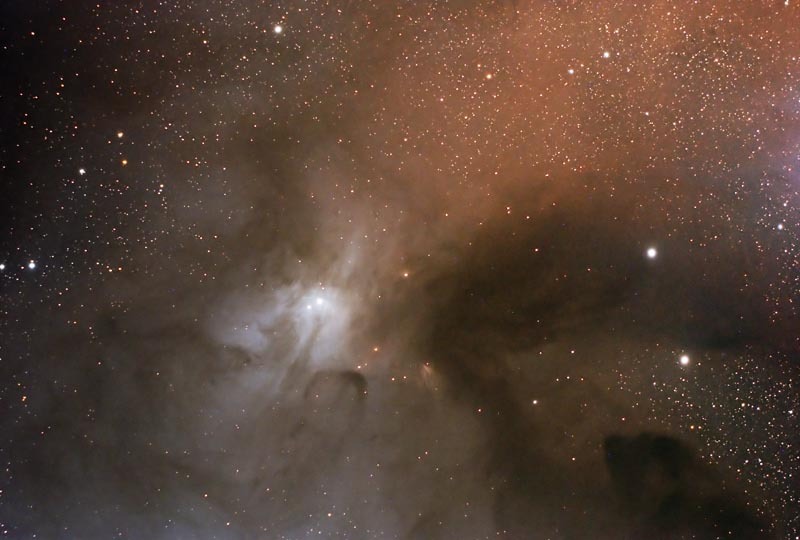 See above two images combined: Rho Ophiuchi Nebula, IC 4603, IC 4604. See this area in context on my page featuring Scorpius & Antares Area. 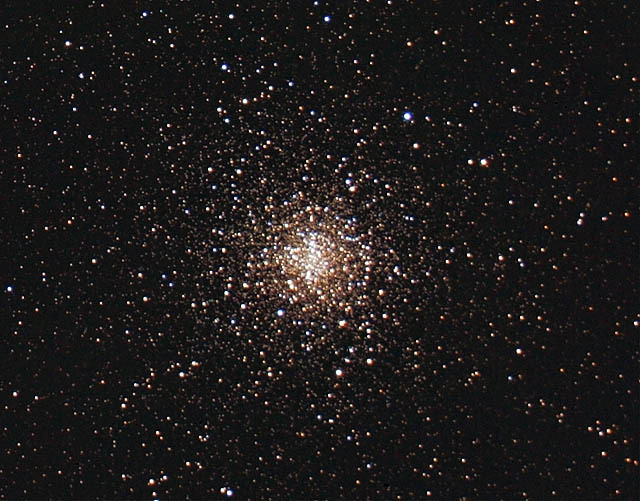 Close-up of globular cluster M4. 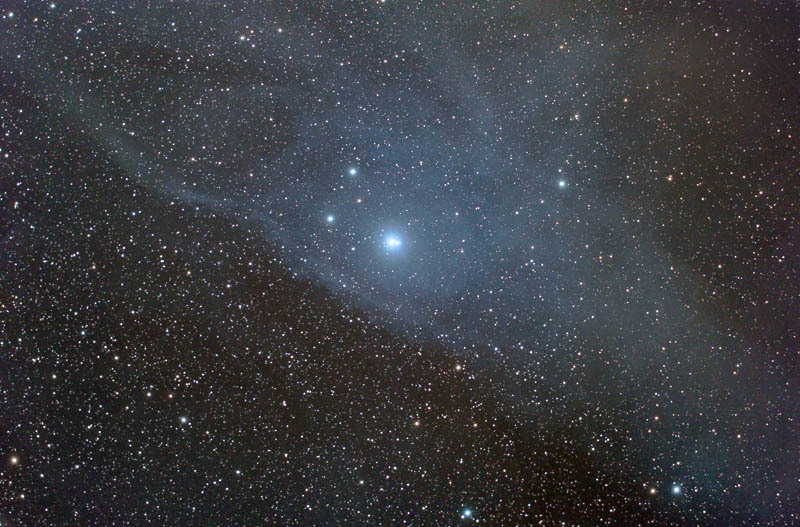 May be about 7,200 light years away, making it the closes. SEDS has more info. Images Home The other HAS Pix from 3/25/2006 are here.